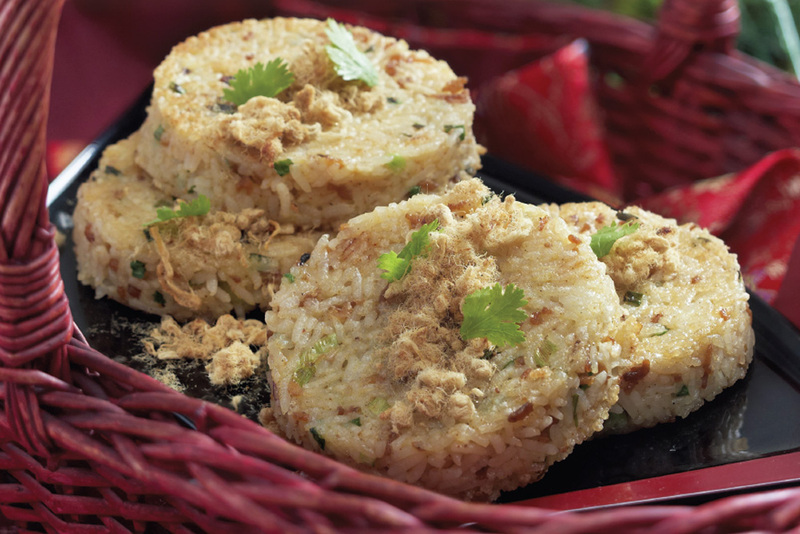 Fragrant Rice Pattie | Jasmine Food Corporation Sdn. Bhd. 1. Heat 2 tbsp oil in wok, sauté dried shrimp and garlic until fragrant. 2. Toss in seasoning and other ingredients, mixes well and apportion equally. 3. Place mold in skillet with hot oil. 4. Fill fried mixture into mold, press firmly and sauté until both side turn light brown, dish out on plate. 5. Garnish with some chicken meat floss and serve (optional).